One of Southern Italy’s more famous dishes, with similar versions found in Yugoslavia, Greece and Turkey. Grilled aubergine is topped with mozzarella and tomato, One of the most popular Corporate team building menus made at Wickedfood Cooking School this starter is perfect for easy entertaining. Slice the aubergines cross-ways ±5mm thick. Place in a big bowl of salted water and allow to stand for 15 minutes, Then gently squeeze dry and place in a dry bowl. While the aubergines are soaking, prepare the tomato sauce. Heat some oil in a saucepan, add the garlic and fry for a minute, then add the tomato, and stir, cooking until it has reduced to almost dry. Season with salt and sugar to taste. Heat ±1cm of oil in a frying pan, fry the aubergines until lightly coloured on both sides, and drain on paper towels. 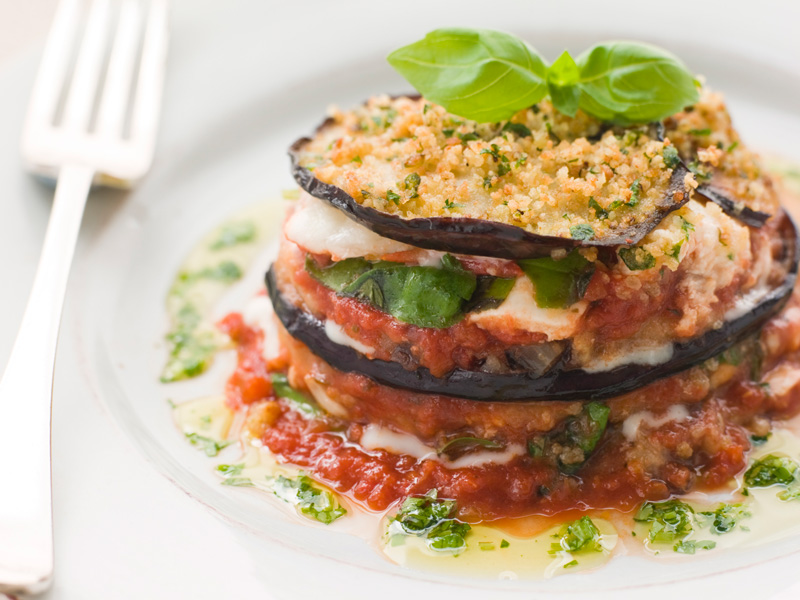 In a baking dish, make small stacks, starting with tomato then followed by a layer of aubergine, tomato and cheese, and then a sprinkling of oregano. Continue layering until all ingredients are used up, finishing with the cheese. 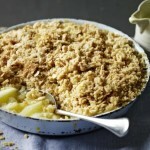 Place in the preheated oven, and bake for 20 minutes, then allow to cool for 5 minutes before serving. Hey, I was checking out this site from the iPhone and this seems somewhat weird. Assumed you would want to know. It’s a excellent blog post even so, just didn’t mess that up. Wonderful piece of facts that you’ve obtained on this weblog publish. Hope I will get some additional of the stuff on your own web site. I will appear again. Was at a teambuilding event last week at your cooking school and i loved it. agHjYT I value the article post.Much thanks again. Keep writing. pokgb0 A big thank you for your post.Much thanks again. Much obliged. pIUVhD Muchos Gracias for your article.Really looking forward to read more. Really Cool. C80zYo Say, you got a nice blog.Thanks Again. Keep writing.